As Christine Lagarde, Director of the International Monetary Fund (IMF) recently wrote in her blog: ‘The global financial crisis remains one of the defining events of our time. It will forever mark the generation that lived through it’. Later in the blog post she mentions that we are facing new challenges and that it remains to be seen whether or not we have learned from ‘our’ mistakes. Having in mind that the world debt has continued to increase exponentially after the crisis, reaching record levels and that we are now talking about the “everything bubble” — it appears that we have learned nothing from our mistakes. Can decentralization help divert a new crisis or decrease its impact? We know that centralized parties (like Lehman Brothers) caused the previous financial crisis. They could again be the culprits for the crisis that is just around the corner. Blockchain technology has already been around for 10 years. The introduction of the first digital currency — Bitcoin by Satoshi Nakamoto in 2008, ignited fresh debates on the value of decentralization, not only in the case of money creation, but also in data storage, security and computing. The spike in interest in decentralized blockchain technology inspired developers to start developing new solutions which improve scalability, but at the same time remain as decentralized as possible. Thanks to these efforts a whole new industry of altcoins was created, covering the whole spectrum of architectures — from centralized to decentralized. Generally, a public blockchain is considered to be decentralized, while private and permissioned networks are centralized. Bitcoin, Ethereum and æternity are examples of public, open-source, decentralized blockchains, while Hyperledger’s Fabric and R3’s Corda are run in a more centralized setting. A private or permissioned blockchain, usually created by a consortium of companies, is a distributed ledger technology (DLT) that is comprised of a number of databases, operated by a limited group of companies. The network can only be accessed after permission is granted and consensus on the latest state of the database is imposed by a few trusted parties (write access). The other parties in the network can read the database, but cannot change it. Generally, a centralized entity (or a few predetermined entities) is in charge of validating the transactions. The same entity (usually an organization) can provide or deny access to the distributed ledger network. One of the biggest blockchain projects working on the development of permissioned blockchains is HyperLedger, which is behind the Fabric DLT. Another private blockchain is R3’s Corda, which is mainly developed to be used for financial products. Large enterprises, which are historically used to setting the rules and controlling every aspect of the networks they manage, are unsurprisingly preferring private blockchains for various use-cases. Some are already incorporating DLT for supply chain management. Supermarkets like Walmartand Albert Heijn are adopting a permissioned blockchain to try to increase the efficiency of their supply chains. Permissioned blockchains introduce a minor (but perhaps important) improvement over completely centralized cloud computing. Most of them are actually run in the cloud. Microsoft’s Azure platform, for example, has featured a Blockchain as a Service product for quite a while now. Generally, blockchain technology has not been created to serve enterprise clients. It was developed to create open, permissionless networks, which anyone can use or develop applications on. That is where their true value lies. A public blockchain relies on nodes to validate and process transactions or execute smart contracts in a global, open network. Anyone can run a node and start verifying transactions or ensure that the smart contracts are being executed in accordance with the cryptographically-imposed rules. Each node holds an updated version of the state as long as it is corrected to the network. Public blockchains are decentralized, censorship-resistant, trustless and transparent (unless their main goal is privacy). The data they store is completely tamper-proof and immutable. They run 24/7, 365 days a year and are completely open to be used by anyone, anywhere in the world. Examples of blockchain projects that follow the permissionless model are: Bitcoin (BTC), Ethereum (ETH), Zcash (ZEC), Monero (XMR), Tezos (XTZ) and æternity (AE). Private blockchains, while being run by a centralized authority, still have the downside of having a malicious actor operate their blockchain as a node. Even though the entity itself is responsible for appointing its nodes, hiring these individuals (who might have ill-intentions) will always bear a certain risk. Private blockchains aren’t interoperable. When the technology advances and blockchains will be able to communicate with each other and transfer information and assets, private blockchains are left behind, because of their permissioned and closed-circuit nature. For instance, when a dApp developer releases a new game and wants it to be able to communicate with his previous game, a decentralized blockchain will enable this option of interoperability, while a centralized blockchain does not. Public blockchains also have challenges to overcome. These challenges include limited scalability, the threat of quantum computing and privacy limitations. The limited scalability came to light after the cryptocurrency industry reached its pinnacle in terms of market cap growth. A project called CryptoKitties clogged the Ethereum blockchain and left countless transactions unconfirmed. To be able to use the network at that time, a huge premium needed to be paid in Gas fees in order to have a transaction processed with priority. To solve the scalability issue, various solutions are in the making, like: lightning network, plasma and sharding. Blockchain’s seemingly immutable ledger will fall under the threat of quantum computing. With technological advancements accelerating, quantum computing can form a threat to public blockchains sooner than one might expect. On the other hand, blockchain companies are working on creating quantum resistant implementations. However, quantum computing will be a threat not only to cryptocurrencies, but to most services that incorporate cryptographic algorithms like websites, data storage, centralized payments, device security, etc. Millions, if not billions, of services and products will be affected. All of them will need to do the same thing — update their encryption algorithm. Such algorithms already exist and can be implemented in any blockchain platform. For instance, the project QRL has already created a quantum resistant ledger that is immutable to quantum computing. An advantage of a permissioned blockchain is the fact that it can be perceived as safe to use, because of its closed circuit. Only authorized members have permission to access and interact with the distributed ledger. While this is an advantage for the company running the private blockchain, consumers will have to go through the centralized party to make use of the blockchain. The advantages to public blockchains will outweigh the benefits of a private version in my opinion. Public blockchains are or will become decentralized, open-source, interoperable, tamper-free, immutable and transparent. I expect the decentralization of our society to continue. A change is necessary, because currently a few big players seem to have a disproportionate control over the economic and financial well-being of billions. History tells us that powerful entities like banks, global financial institutions and even credit rating agencies are not always worthy of the trust that we have vested them with. Their enormous power and influence are more and more used for the completion of goals that are completely misaligned with those of the masses they are supposed to serve. What is worse is that when abuses happen these powerful entities are not held accountable. They are simply bailed out by governments while the average person is expected to suffer-through the consequences and foots the bill for their incompetence. Interestingly, public blockchains are not only technological solutions. They are projects which dedicate significant time on the development of models for global governance and alignment of incentives in groups of completely different users. One of the more interesting projects in the sphere is definitely æternity, a next generation public blockchain platform. · State Channels , are used to significantly improve scalability of transactions and smart contracts by executing them off-chain on private state channels, instead of executing them on the “slower” main chain. In addition, because the interactions between users are private, the use of state channels also provides the additional benefit of increased privacy and enables smart contracts and transactions to be executed in parallel. · Integrated Oracles . Oracles are agents that find and verify real-world occurrences and submit this information to a blockchain to be used by smart contracts. With æternity, users can use or host oracles with a predefined set of transactions that allows them to improve the application of their smart contracts. · On-chain Governance . æternity implements a Proof-of-Stake variation to allow AE token users to formally express their opinion on any topic. 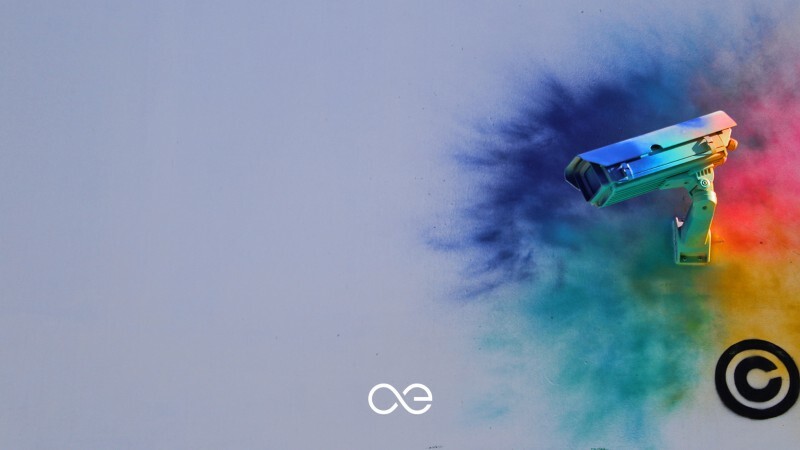 Any æternity user can formally express their opinion on any topic, by posing or replying to questions. By implementing a Proof-of-Stake variation æternity has created a governance system that acts as a democracy where users can vote on various topics, including: block size, block reward or block time. The voting results are than passed on to the development team to indicate the opinion of the community. The voting outcomes will not be binding, but will be taken into account by the developers. · Naming System. Most blockchain platforms have a naming system in place for their addresses, smart contracts or oracles that consist of a string of numbers and letters that are very difficult for users to remember. æternity on the other hand, has integrated a naming system that allows for human-readable names, significantly improving user-friendliness. · Bitcoin-NG. æternity makes use of Bitcoin-NG, a next-generation consensus protocol, that enables much higher transaction speeds while keeping the system decentralized. This allows æternity to improve the usability of mobile decentralized applications by increasing the transactional speed of æternity’s main chain. · Proof-of-Work Mining. Currently, many new blockchain platforms rely on controversial Proof-of-Stake governance mechanisms that have not really tested sufficiently in real-world applications to be deemed reliable. Proof-of-Work however, is a proven governance mechanism and therefore æternity’s method of choice. Being comprised of a team with over 100 members, who all have extensive experience in the blockchain and cryptocurrency industry, to me is a great benefit. After being involved in the inception of the Ethereum blockchain, æternity’s Founder Yanislav Malahov is now fully focused on æternity. 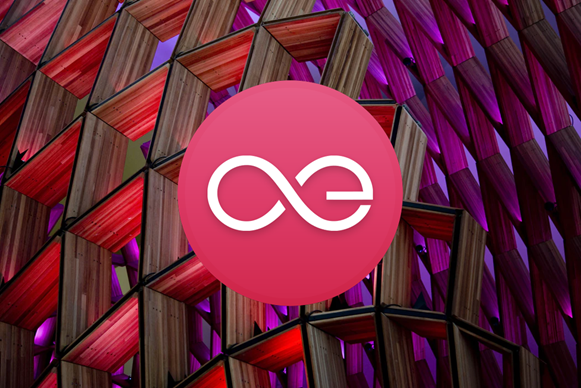 For more information on æternity, you can visit their website or browse through æternity’s “getting started resources”. Disclaimer: This article is not intended as investment advice. You should always do your own research. All the information provided in this article is based on my own personal opinion. Full disclosure I own æternity tokens. Subscribe to my Twitter channel if you like my articles and would like to be informed about Blockchain, cryptocurrency projects and news. All of my other channels are located on my BlockDelta profile. If you have any questions about this article, please comment in the comment section below. Thank you!